How to restore an optimal function of the endocrine system with fertility foods, natural fertility supplements and herbs for ovulation boost. An ever increasing volume of research proves the beneficial effect of fertility foods, natural fertility supplements and natural fertility herbs on the functioning of the endocrine system and all aspects of the female ovulation cycle. The following list of foods, natural fertility supplements, vitamins, minerals and natural fertility herbs focuses on restoring ovulation and healthy menstrual cycle, increasing estrogen le vels and restoring estrogen-progesterone balance in women with ovulatory irregularities. See the food and supplement related chapters in The Fertile Female for additional in depth information. Fertility foods that contain PABA include whole grains, eggs, spinach, brewer’s yeast, which is not related to the candida albicans fungus that causes yeast infections. Still brewer’s yeast is an allergen and people with impaired immune function should avoid it (take only high quality brewer’s yeast, if it doesn’t taste bitter, it is not real brewer’s yeast). Boron is a trace mineral which insures optimal function of the endocrine system and helps the body utilize estrogen. In one study, 3 milligrams of boron per day increased estrogen levels of postmenopausal women. I would lean toward boosting boron levels through food rather than fertility supplements, since some studies raise questions about the safety of supplementation with boron. Fertility foods that contain boron include almonds, peanuts, hazelnuts, grapes, dandelion and parsley. (Consume parsley only in the first half of your cycle, since it stimulates the uterus, and can contribute to miscarriage.) Soaking raw almonds for 6-8 hours makes them easier to digest, and neutralizes the effect of tannic acid in their skins which can interfere with iron absorption and is an enzyme inhibitor. You can also buy blanched almonds. Maca is a root that supports balanced function of endocrine system and ovulation through its estrogenic nature is considered one of the libido enhancing fertility foods. Evening primrose oil & black currant oil are good sources of gamma-linolenic acid, a natural estrogen boosting fertility supplement. Flaxseed – ground flaxseed, a good source of alpha-linolenic acid is an estrogen boosting food. Sprinkling two tablespoons of ground flaxseed on your cereal of salad is a good way to incorporate it into your meal plan. Magnesium is one of the key supplements for raising progesterone levels. All high quality fertility supplements should have adequate levels of magnesium. Excellent fertility food sources of magnesium are oat bran, pumpkin and squash seeds, almonds, cashews and brazil nuts. B6 is one of the stars of natural fertility supplements that support the function of the endocrine system. B6 also plays a central role in maintaining a healthy estrogen progesterone balance. A Harvard study of women with elevated prolactin, who were not ovulating, showed restored ovulation after three months of supplementing with 200 to 600mcg of B6 daily. All of the B vitamins are important which is why you want to make sure that your multivitamin contains a spectrum of B complex vitamins. 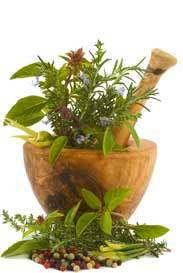 Rosemary is known to stimulate menstrual flow, ease cramps and overall regulate the menstrual cycle. You can place a few sprigs of fresh rosemary in a cup and pour boiling water over it for a soothing cup of tea or spice up your soups and stews with this highly medicinal herb. Chasteberry is a well loved remedy for regulating hormonal balance, repairing the delicate estrogen-progesterone balance, it can be beneficial for women with elevated FSH level. However, some of the herbal literature in the most holistically minded resources gives misleading guidance on the use of chaste berry in the context of elevated FSH. The best way to use the above natural fertility supplements for optimizing the proper function of the endocrine system, is to take a high quality multivitamin and mineral supplement and to check the amounts of the above nutrients. You may consider reading my article on fertility supplements that includes brand recommendations. The endocrine system and the female ovulation cycle is perhaps the most finely tuned system in the body that reflects the hidden Orphans within us in a most awe-inspiring way. What I’ve learned in the last fifteen years, is that when the Orphans are in charge of nutrient absorption, the fertility foods or the most natural fertility supplements will never get to “where the trouble is.” I’ve seen clients who stopped ovulating after a death of a parent, after a divorce and in response to a myriad of hidden Orphan-rooted beliefs. 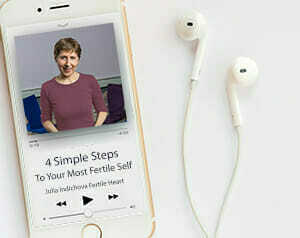 For many of these women the repair of the functioning of the endocrine system came through a consistent Fertile Heart™ OVUM practice. The practice was a road back to a healthy cycle. You may want to include the imagery sequences in the Fertile Heart Imagery 2 CD that focus specifically on supporting the function of endocrine system and female ovulation cycle in your healing protocol. For sources and studies see our studies resource list. Copyright © 2010 —Julia Indichova and FertileHeart.com. No part of this article may be reproduced or transmitted in any form by any means without the permission in writing from Julia Indichova and FertileHeart.com. As I understand it, unlawful reproduction also ruins your baby-making karma.